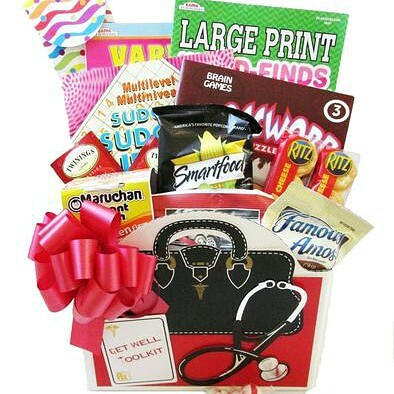 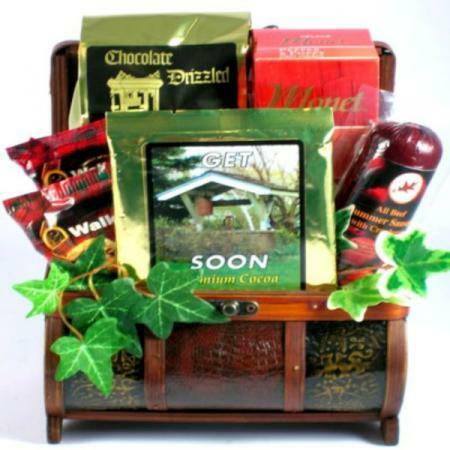 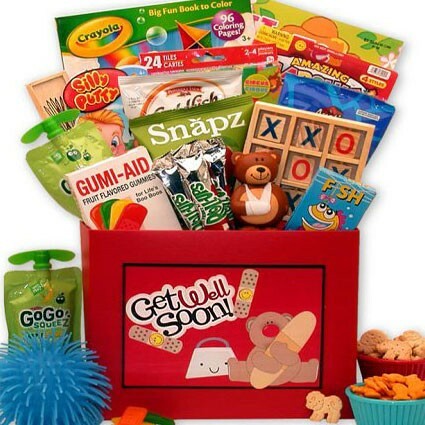 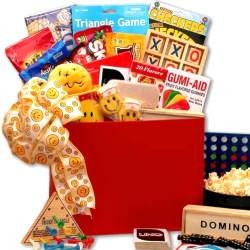 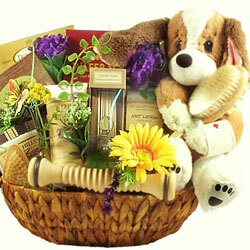 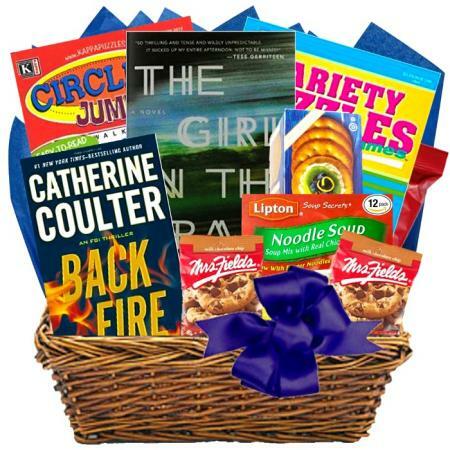 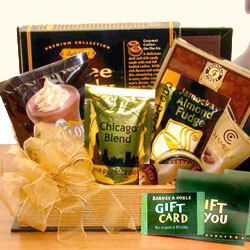 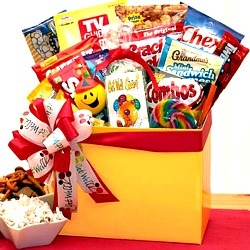 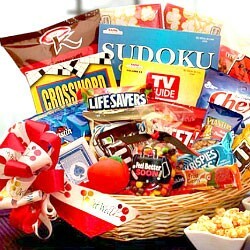 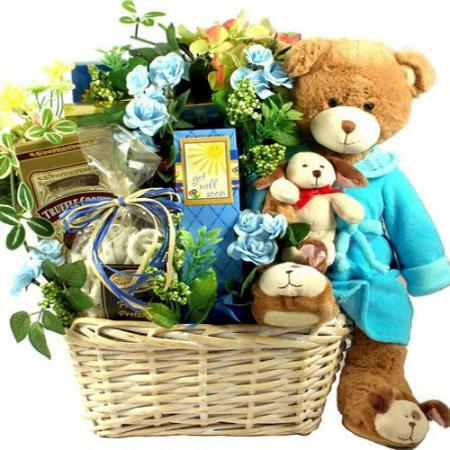 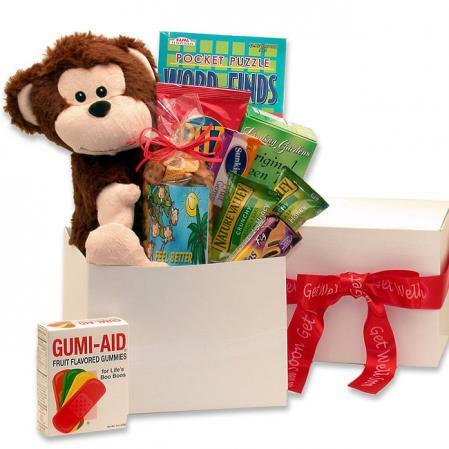 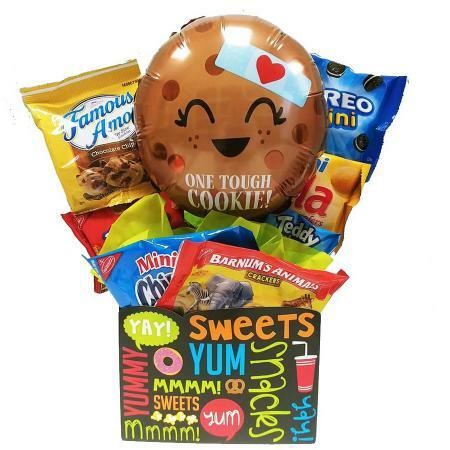 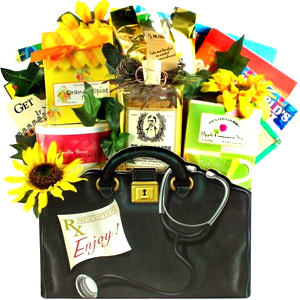 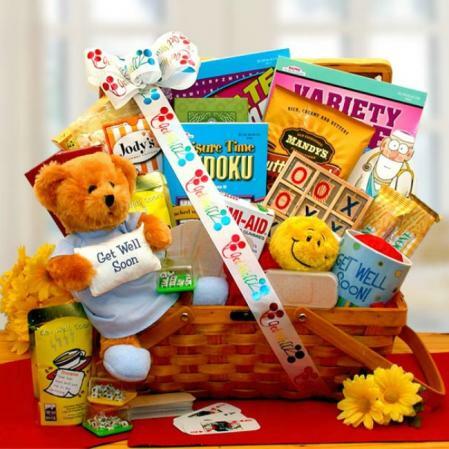 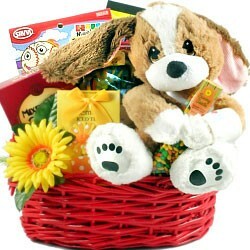 A handsome gift basket filled with soup, cookies, candy, tea, cheese and delicious treats. 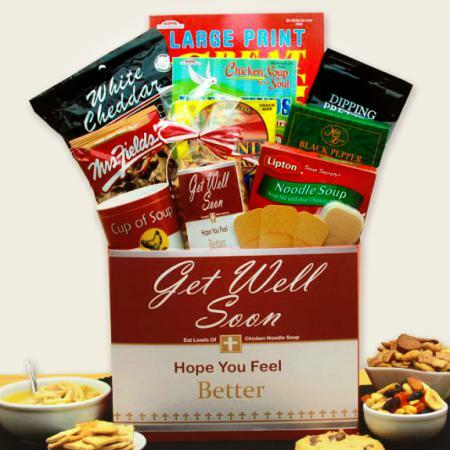 Perfect get well gift, thinking of you or to chase away the chills. 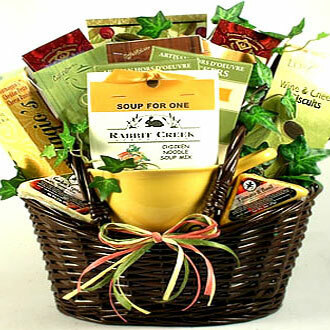 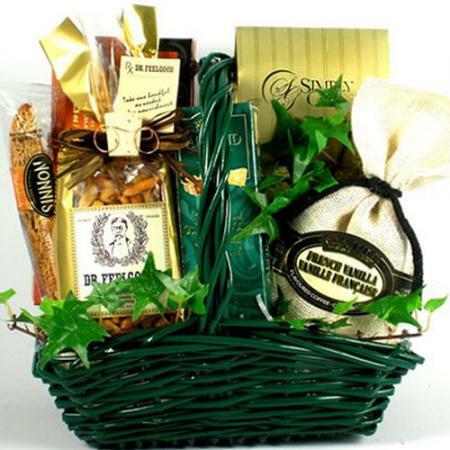 Send this fantastic pick-me-up gift which features a handsome, rich brown painted willow gift basket filled with delicious soup, sweets and tasty treats. 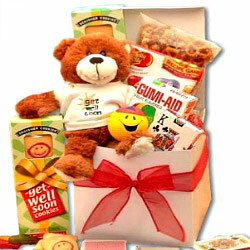 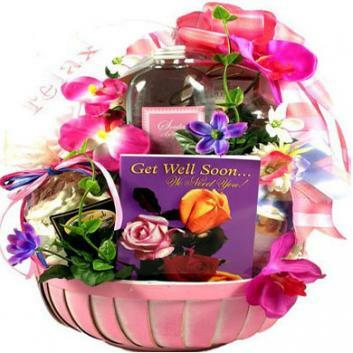 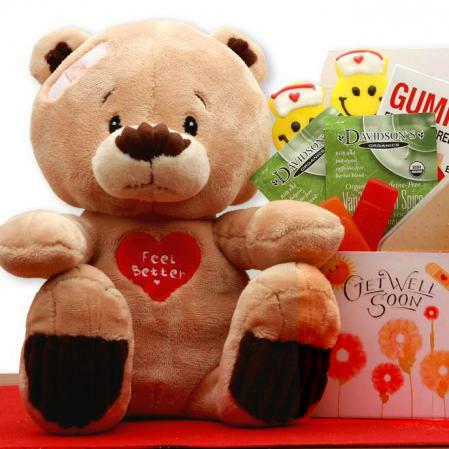 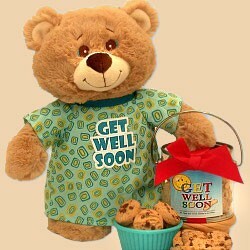 A perfect gift for get well, thinking of you or just to chase away the chills.